Today’s women are always on the go and not eating a well balanced diet. Most women are not getting enough fruits and vegetables or eating healthy foods and snacks. With their busy and stress filled lives, many are eating fast foods and pre-packaged foods, filled with processed ingredients and calories. We offer the finest supplements on the market today for women’s optimum health and dietary support! Get Wholesale Prices Without Going On Autoship! The highest quality fish oil available without a prescription. Consistently receives the top rating for quality, concentration and purity by a non-affiliated, third party lab (IFOS). 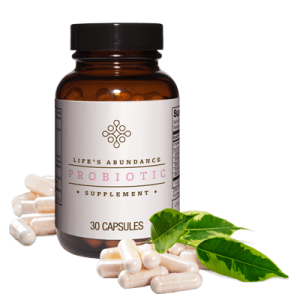 Life’s Abundance uses state-of-the-art processing to remove impurities and provide you with a fish oil supplement that is safe and effective. Due to its superior quality and high concentration of nutrients, Life’s Abundance Fish Oil is an exceptional value compared to other market brands. Compare Life’s Abundance Fish Oil to other leading brands and see for yourself! 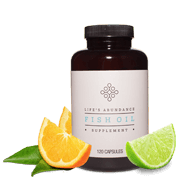 Life’s Abundance Fish Oil is 100’s of times more pure and twice as potent as health food grade fish oils. Available in liquid or capsules. Providing your body with a regular source of “friendly” bacteria is important. There was a time when you could get healthy bacteria through foods but today most foods are so overly processed and pasteurized that the healthy bacteria aren’t alive by the time you ingest them. That’s why a daily probiotic is so valuable. Unfortunately, four out of five people don’t get the recommended daily allowance of vitamins and minerals through food alone. 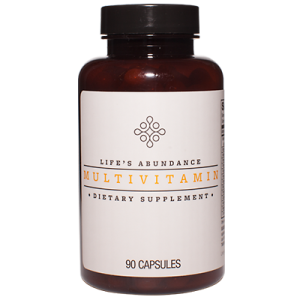 That’s why supplementing your diet with a multivitamin is so important. 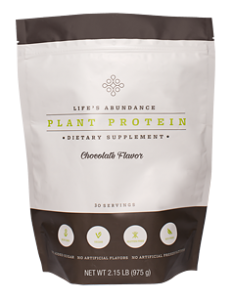 Life’s Abundance Plant Protein is a 100% grain-free, plant-based protein powder with a nutrient-rich blend of clean, high-quality proteins including pea, chia, pumpkin, hemp and quinoa. It’s ideal for pre or post workouts, breakfast or whenever you need a healthy boost of energy from protein or a quick on-the-go snack. Americans are deficient in minerals. 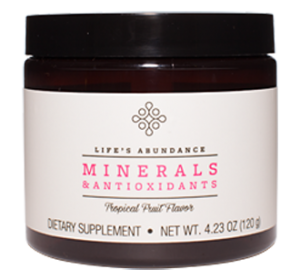 Life’s Abundance Minerals & Antioxidants drink mix is a delicious way to supplement your diet. This unique mix is made with a variety of freshly harvested sea vegetables and contains approximately 74-plant based, naturally chelated, trace minerals. For an additional nutritional boost, it also contains antioxidants from 11 nutrient-rich super fruits. Available in 2 different flavors – Cherry or Tropical. 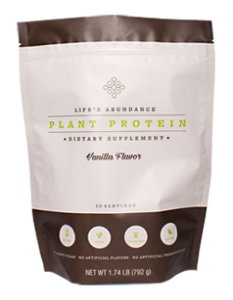 Life’s Abundance Greens Blend nourishes your body with a blend of raw, certified-organic grasses plus certified, organic mushrooms. Our organic raw greens are grown in glacial soil and cut at peak harvest before the jointing stage, so you’re getting the best quality greens. Because they are raw, they retain more nutrients than cooked greens. 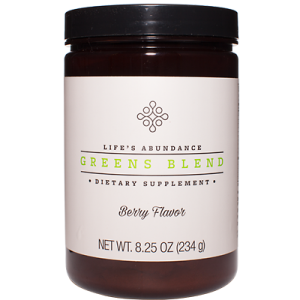 Life’s Abundance Greens Blend has a delicious-yet-subtle berry flavor and silky smooth texture. It mixes easily with water or into your favorite smoothie. 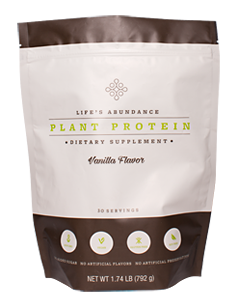 It is one of the best tasting GMO-free greens blends on the market and leaves no “grassy” aftertaste. At only 25 calories per serving, this nutrient dense supplement is a simple way to help you consume the recommended 5-9 servings of fruits and vegetables daily.